Sure, you may think it is wishful thinking to being talking about spring in the first week of February, and you might be right. However, we firmly believe that if you want to have the most beautiful lawn in your neighborhood, it requires plenty of planning. 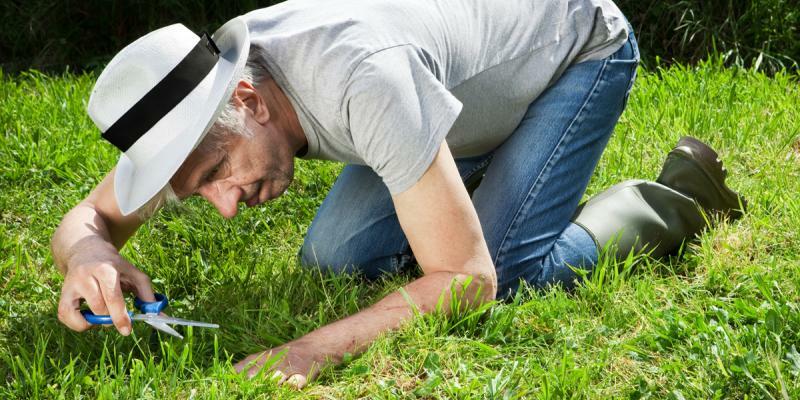 After all, before we know it, the snow will be melting and it will be time for you to begin tackling all of your yearly lawn care and landscaping tasks. In order to help you get mentally prepared for the work that lies ahead of you, we thought we would cover a handful of steps you should consider taking once the warm weather begins to arrive. Continue reading to learn more. While you may have to wait for spring to arrive to do any of the following tasks, this is one you can complete while there is still snow falling. Making sure that your lawn mower is ready to start working once it is time is extremely important. We would suggest checking your blades to ensure they are sharp. You may want to also change the spark plugs and/or the oil for best results when you begin to use your mower again. Once all of the snow is gone, you will want to walk around your lawn and pick up any debris that is still present from winter storms and the season in general. Wait until your lawn is dry and then accumulate all of the leaves, twigs, branches and other debris that could possibly get in your way when you mow your lawn in the near future. While some people believe that scalping their lawn is the best course of action at the beginning of spring, we would disagree. Rather than mowing your lawn down to the shortest length possible, we would suggest using a rake to dethatch your lawn. Doing this will remove any matted clippings and dead grass from your yard so that it can begin to grow as well as possible in the following months. You may want to begin thinking about how you plan to water your lawn in the spring. If you already have an irrigation system in your yard, you’re probably all set. However, if you don’t, we would consider having one installed once spring rolls around. Getting a sprinkler system will make taking care of your lawn in the dry months much easier. Weeds are the nemesis of every person who strives to have a beautiful lawn. If you want to avoid battling weeds all summer long, we would suggest that you have your lawn sprayed for weeds in the early spring. This will make taking care of your lawn much simpler in the long run. You may have to have this process repeated in the late summer however, as most weed treatments will only last for three or so months. If your lawn took a beating over winter or you have several bald patches in your yard once all the snow melts, we would suggest having new grass planted. You will have to wait til later in the spring if you are planting a warm-season grass. If you are planting cool-season grass, however, you will want to wait until the fall. If you know that in seasons past your yard has been the host to one or several pests, you may want to consider having your lawn sprayed to eliminate them. 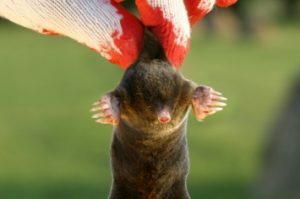 Lawn Connection has a great reputation of being able to get rid of pests from geese to moles. Regardless of what your plans are for spring, we are sure that our professional lawn care team can help you. Contact us today to learn more about the lawn services we offer and what they could mean for you this spring. Whether you are looking to simply maintain your current lawn or you want to start from scratch, we have the know-how to get the job done once winter is over. Explore our site to get a better idea of all that we offer. We look forward to hearing from you!